Paul McCartney and Wings were a rock music band led by Paul McCartney, formed a couple of years after the dissolution of The Beatles. It achieved widespread popularity during the 1970s despite continual personnel changes. History Paul McCartney's first two post-Beatles albums were a solo effort and then one featuring studio musicians. Then late in 1971, drummer Denny Seiwell, and ex-Moody Blues guitarist and singer Denny Laine, joined Paul McCartney and wife Linda McCartney to record Paul's third post-Beatles project. The result was Wild Life, the first project to credit Wings. The band name is said to have come to McCartney as he was praying in the hospital while Linda was giving birth to their second child together, Stella McCartney. Paul McCartney recalled in the film Wingspan that the birth of Stella was "a bit of a drama"; there were complications at the birth and that both Linda and the baby almost died. He was praying fervently and the image of wings came to his mind. He decided to name his new band "Wings". In 1972, McCartney returned to touring, mounting an impromptu tour of UK universities and small European venues (with the group driving around in a van), playing no Beatles numbers. He scored hits with the relatively light singles "Mary Had A Little Lamb" and "Hi Hi Hi" (the latter getting in trouble with the BBC for alleged drug references). In early 1973, McCartney repeated this pattern, adding ex-Spooky Tooth guitarist Henry Mccullough, and re-christening the band Paul McCartney and Wings for the album Red Rose Speedway which yielded the first big Wings hit, the romantic ballad "My Love". That same year, McCartney filmed his first American TV special James Paul McCartney, which was savagely criticised by noted rock journalist Lillian Roxon. Wings also recorded the hit theme song to the James Bond film Live and Let Die, which reunited McCartney with producer George Martin. Over the years, this has remained one of the most memorable of all Bond songs and is always an exciting part of McCartney's concert performances (often played to fireworks). Following the release of Speedway, Denny Seiwell and Henry McCullough left the band, leaving the McCartneys and Denny Laine to cut their next album at EMI's recording studio in Lagos, Nigeria, recording what turned out to be their breakthrough album, Band on the Run. The album went to #1 and spawned a half-dozen hit singles including the rockers "Jet" and "Helen Wheels", the acoustic ballad "Bluebird", and the dynamic title track a suite of movements recalling side 2 of Abbey Road. Moreover Band on the Run enjoyed very positive critical reception, and did much to restore McCartney's somewhat damaged post Beatles image. It also included the heavy "Let Me Roll It", which was seen as an affectionate impersonation of John Lennon's solo style. After this, Jimmy McCulloch and Geoff Britton, lead guitar and drums respectively, joined the band, now rechristened Wings again. The first recording session with the new members was held in Nashville and produced the rocky non-album single "Junior's Farm". The new lineup then moved to New Orleans to create the album Venus and Mars (1975), followed by a return to Nashville for Wings at the Speed of Sound (1976); both albums took top chart positions. During this time, Joe English replaced Britton on drums. Speed of Sound represented a substantial departure from the Wings template in that each member of the band sang at least one song, including Linda ("Cook of the House"). Also during this period, Wings embarked on a very successful and theatrical world tour, documented in the triple-live LP set Wings Over America, which included a late 1975 tour of Australia, McCartney's first visit there since the Beatles' epoch-making Antipodean tour in June 1964. McCartney still mostly shied away from the Beatles catalogue; only five such numbers were typically included in the American shows. Laine sang lead vocal for several songs and McCulloch for one, to emphasize that Wings was more than just a backing band for McCartney. One of the Seattle concerts from the American leg of the 1975/76 world tour was filmed and later released as the concert feature Rockshow (1980). Further hits followed with the singles "Silly Love Songs" and "Let 'Em In". Also in 1976, McCartney inaugurated Buddy Holly Week in London, founded on what would have been Holly's 40th birthday and marked with an annual celebrity party; his lifelong passion for the music of this rock'n'roll pioneer was also reflected in his acquisition of Holly's publishing catalogue. Ever the astute businessman, McCartney also cannily bought the rights to an off-Broadway musical he had seen in America, and this investment reaped huge returns when the musical was adapted into the smash-hit feature film Grease. After the world tour, McCartney took a break, but this period produced both the most obscure and the most successful records he has made. During 1977 he released the peculiar, unpromoted and little-known album Thrillington, an orchestral re-make of the earlier Ram album, issued under the pseudonym Percy "Thrills" Thrillington, followed by single version of a live recording of "Maybe I'm Amazed". Later in the year, the band recorded their next album in the Virgin Islands. At the end of 1977, McCartney released the ballad "Mull of Kintyre", an ode to the Scottish Mull of Kintyre coastal region he had made his home in the early 1970s. Its broad appeal was maximised by a pre-Christmas release, and it became a massive international hit, dominating the charts in Britain, Australia and many other countries over the Christmas/New Year period and becoming one of the biggest selling UK singles of all time. McCartney released the album London Town in 1978. During the recording of the album in May, 1977, both Joe English and Jimmy McCulloch parted ways with Wings (McCulloch died of a heroin overdose in 1979). Though still released as a Wings album, the band was again reduced to Paul, Linda and Laine and a host of studio players. The album was a major commercial success, reaching #2 on the charts, but featured a markedly softer-rock, synth-based sound and yielded only minor UK hits in "With a Little Luck" and "Girlfriend" (the former was a big hit in the US). 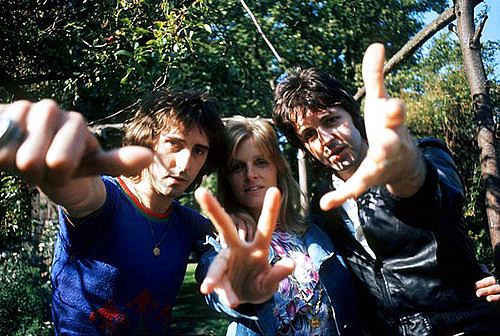 In 1979, Wings released the singles "Goodnight Tonight", "Getting Closer", and "Wonderful Christmastime" and the album Back to the Egg, a critical and commercial failure and the last McCartney project released under the Wings moniker, with McCartney returning to solo billing on future recordings. In November and December of 1979, Wings performed their final tour of the UK, climaxing with a massive rockestra all-star collection of musicians in London in aid of UNICEF and Kampuchean refugees. This final version of the band included guitarist Laurence Juber and drummer Steve Holly, who had joined the group in 1978. During this tour the live version of "Coming Up" was recorded, this being their final US #1 hit the following year. Wings continued to demo some more tunes during 1980/1981, but following a disastrous aborted Japanese tour, they fell apart. Legacy The longevity and success of Wings can be seen as something of a vindication for McCartney, whose early home-grown solo output, which often featured simpler songs and less lavish production than the Beatles received from George Martin, sometimes led to critical dismissal of his work as "lightweight" next to the seemingly more serious nature of his former bandmates' solo output. Though McCartney was the first Beatle to release a solo album after the official break-up of the band, it was John Lennon's early solo output which initially gained the lead in both critical opinion and commercial success, and George Harrison had scored a huge success with his 1970 triple-album solo debut All Things Must Pass. But by the mid-1970s, Lennon's solo career had run out of steam, and he had stopped recording; Harrison was also fading from view by this time, as by 1976 he had all but retired from recording and performing. As leader of Wings, however, McCartney was rising to a new peak of success. He became the only one of the four Beatles who continued to tour and record regularly in the years after their split. Wings' 1977 single, "Mull of Kintyre"/"Girls School" is still the biggest-selling non-charity single in the UK (although Queen's "Bohemian Rhapsody" sold more, its sales include a reissue in aid of the Terence Higgins Trust) and it ranked fourth in the official list of best selling singles in the UK issued in 2002. Subscribe to Paul McCartney & Wings RSS Feed to get latest lyrics and news updates. What do you think about Paul McCartney & Wings? Let us know in the comments below!